William Henry Harrison died just thirty-one days after taking the oath of office in 1841. Today he is a curiosity in American history, but as Gail Collins shows in this entertaining and revelatory biography, he and his career are worth a closer look. The son of a signer of the Declaration of Independence, Harrison was a celebrated general whose exploits at the Battle of Tippecanoe and in the War of 1812 propelled him into politics, and in time he became a leader of the new Whig Party, alongside Daniel Webster and Henry Clay. But it was his presidential campaign of 1840 that made an indelible mark on American political history. Collins takes us back to that pivotal year, when Harrison’s “Log Cabin and Hard Cider” campaign transformed the way candidates pursued the presidency. It was the first campaign that featured mass rallies, personal appearances by the candidate, and catchy campaign slogans like “Tippecanoe and Tyler, Too.” Harrison’s victory marked the coming-of-age of a new political system, and its impact is still felt in American politics today. It may have been only a one-month administration, but we’re still feeling the effects. 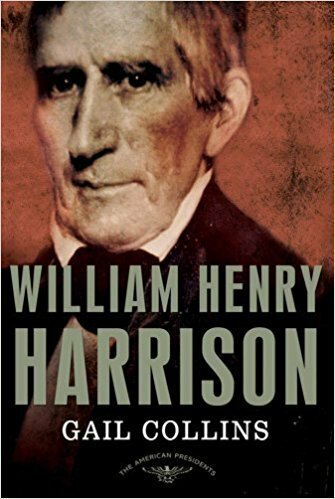 This was a quick presidential book that taught me a lot about Harrison. This could be either an adult or a older kids read. It was a good brief summery of this presidents life with some odd facts that sparked my interest. It was well written and is definitely worth reading if you don’t want to read a huge biography on Harrison.